Superstar Shah Rukh Khan has confessed that he doesn't know what to say when someone asks him to describe himself in one word or in one minute. The actor said it has taken him over 50 years to 'understand about 10 percent' of himself, so how can he express it to people within a minute. 'When in a 30-seccond or a one-minute byte, I am asked ‘Can you describe Shah Rukh Khan in one word as a person?' This is something I don't know at all. How do I describe anyone, let alone me, in one word and that also in a one-minute interview? It has taken me 52 years to understand about 10 percent of who I am, let alone try to express it to people within a minute,' Shah Rukh said in a statement. 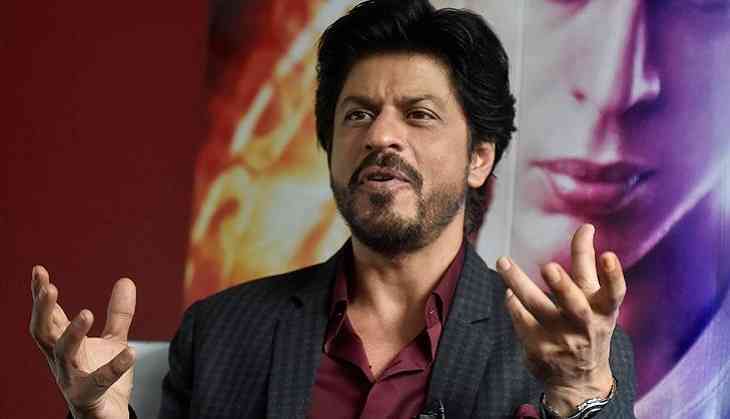 The actor, who enjoyed success at the box office with 'Raees' and 'Dear Zindagi' -- which will air on Zee Cinema on Sunday -- also shared two other questions that journalists tend to repeat while interviewing him. 'First is ‘What is the practical joke you played on another artist on the set?' Well, my age for practical jokes is over and not many people come on the set to do practical jokes. We just have a good time and laugh. I am not saying it's a bad question, it's just that I don't have an answer to it,' the 'Dilwale' star said. Shah Rukh said that he is often asked, '‘What's next?' Well, this is next, this is what I am doing right now'. 'What's next will come next and at that time I will come and talk to you about it. This kind of throws me out. Because I normally do one film at a time and this is the one most important thing right now, so I will talk about this. What's next, I will discuss in detail when it happens,' he added. SRK is currently busy filming director Imtiaz Ali's tentatively titled 'The Ring' opposite actress Anushka Sharma.